On March 21, 2000, the FDA announced the Rezulin recall after a whistleblower showed internal FDA email messages to an LA Times reporter. The diabetes drug was manufactured by Warner-Lambert to treat type-2 diabetes, which led to at least 90 cases of Rezulin liver failures, including 63 deaths. While this number is alarming, it reflects just 1-10% of actual fatalities according to experts examining the Rezulin Recall. Rezulin had remained on the U.S. market for over three years before the recall, even after an estimated 2 million people were prescribed the drug. Rezulin was approved by the FDA in just six months. 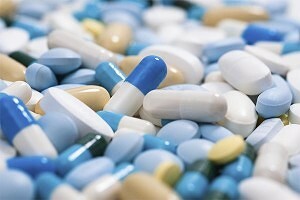 Most pharmaceutical drugs take years to obtain FDA approval. The LA Times reported Warner-Lambert downplayed the liver damage concerns when seeking federal approval by assuring the diabetes drug’s risk was low. The FDA official gave the company inside information and favors at certain key points in the development of Rezulin according to the LA Times. Warner-Lambert knew of at least 12 people that suffered from liver damage that was potentially life-threatening as early as 1993. If you or loved one have been injured as a result of taking the above drug, you may have a valid claim. Call us now at (800) 888-8888 or contact us.